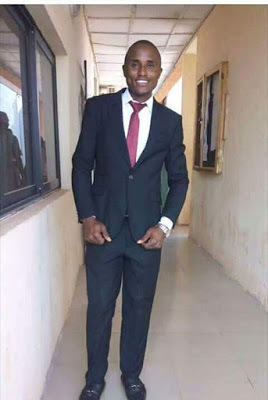 A 29-year-old graduate of Enugu state University of Technology (ESUT) and a corp member serving in Zamfara state, Uzochukwu Chinevu has reportedly slumped and died while playing basketball on 17th of September. 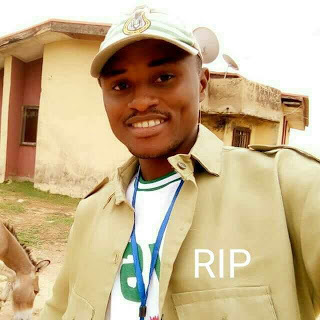 A friend of the deceased, Ejiofor Emmanel, who took to social media to share pictures of the late corp member, disclosed that he will be buried in his hometown, Igbo-Etiti, Enugu State on Monday, September 25. 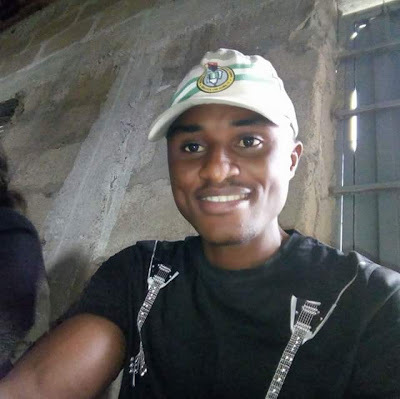 “What else cannot happen in this world?,,,if UZO whom served as a president in Association of Applied Biology and Biotechnology, Esut chapter last year and left for NYSC this year can easily be embraced by the cold hands of Death. I won’t forget the fact that he never stopped smilling and giving people advice. 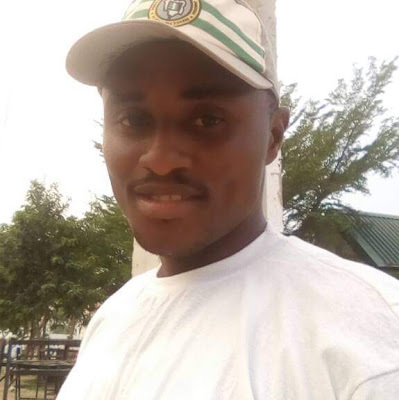 My dear UZO, I still remember vividly how we worked together, how you toiled tirelessly during your campaign for presidency and I came to ask myself whether am hallucinating or it is real that you are gone. 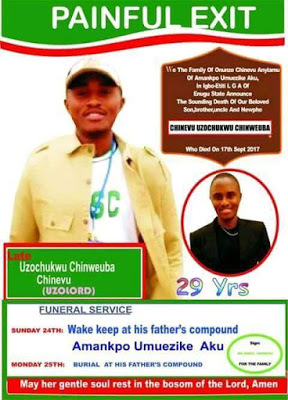 What else do I wish you than to say “rest peacefully in the bosom of our lord”.